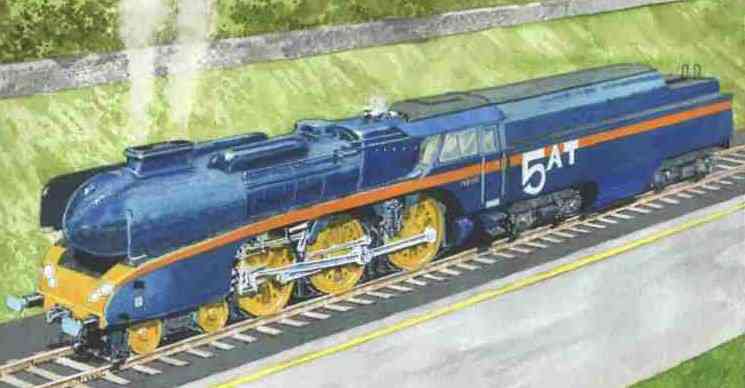 Robin Barnes Railway Art and History: Original 5AT Steam Locomotive Art. Steam has not reached the end of its development potential. Steam has a future. The 5AT locomotive truly is new steam, incorporating the latest proven technology, designed for fast and heavy mainline operation. For more information click below.